❤STEP-ON TECHNOLOGY: This body weight scales built-in Germany step-on technology, read immediately as soon as you step on the scale, easy and straightforward to read your weight with the large LCD display. 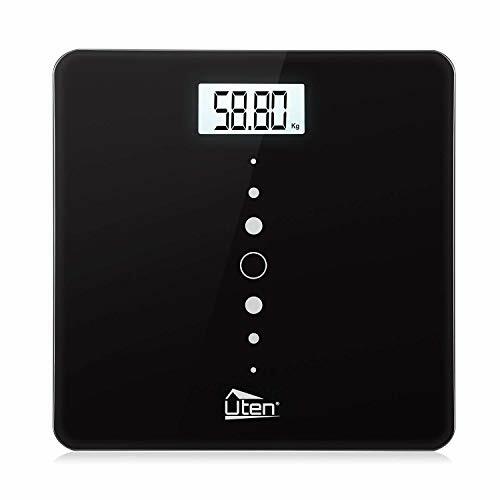 ❤HIGH QUALITY: The Digital Body Weight Bathroom Scale is made of high-quality safety glass, is crafted to be strong, accurate, fast and durable. We commits ourselves to creating high quality and great design products. Also being confident in this Digital Kitchen Scale and offering a full 1-year guarantee. We will do the best for you!